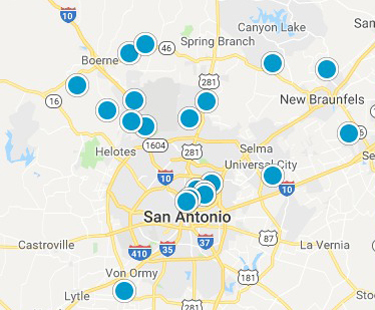 Have fun playing our daily San Antonio real estate online interactive Crosswords Puzzles. See if you can solve today's puzzle. Spend some free time exercising your mind, all the while building your vocabulary. Crosswords Puzzles are good way to practice problem solving and they keep your mind active. Challenge your friends and family to our daily crosswords puzzle. Puzzle #1 Puzzle#2-"Papa's Gems" Puzzle #3-"It's a Numbers Game"
Puzzle #4 Tricolor Puzzle 5-"Let's Dwell on It" Puzzle 6-"It's Wet Out Here"
Puzzle 7-"Part of a Straight?" Puzzle 8-"Weighty Matters" Puzzle 9-"Classics"
Puzzle 10-"Waiting Room Distractions" Puzzle 11-"Coming Soon" Puzzle 12-"Coming Soon"